Tim transitioned into the newly created VP BD role in May, 2017. Prior to that he was VP, US Operations – West from May 2015. 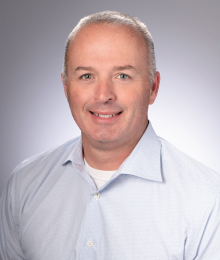 Tim has also held the roles of Regional Manager and Director of Operations of Badger for the West Region in the US since joining the Company in June 2012. Prior to joining Badger, Tim was the Senior Regional Director for Factory Motor Parts, a wholesale auto part distributor. Tim holds a BS/BA from the University of Florida in Gainesville, FL.